It’s easier and cheaper than ever before to start up and get your voice out into the world. But in an age where everyone can post, cast or vlog on whatever they please, real attention is hard to come by. Whether it’s in the media, on social or in niche communities, earning attention is critical for new businesses seeking to gain traction, secure funding, acquire users or establish ideas. 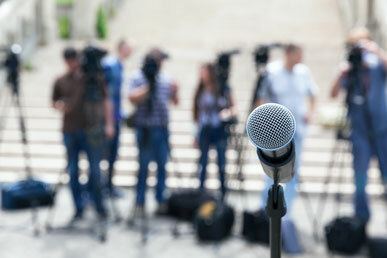 Press attention can be the most powerful, immediate and credible route to your audience. For those without vast swathes of cash to blow on advertising or creative campaigning – earning attention is also the most cost effective. But here’s a confession for you; You don’t need an agency. At least for a while yet. And even when you do, you probably don’t need a retained agency. You need some smart advice and support around clearly defined goals. Sure, there are some scenarios where you might need expert guidance straight away. Maybe you’re entering a crowded or brand-new market, perhaps you have a famous founder or partner that will attract mass attention before you’re ready, maybe you’re not sure what your story is or where you fit into the market, or maybe your business is tackling some highly contentious issues. But most start-ups will need to spend their time building a team and an offering before they need that kind of help. Save the budget, and the agency fire power, for the moments you really need it. Sorry snowflake. Journalists don’t know you and they don’t care. The fact that you’ve launched is unlikely to be met with applause. There are millions of companies out there and all of them claim to be changing the world. You have to work out what it is about you that will pique curiosity and make people pay attention. PR can be a fantastic forcing function to get you to focus on your story. What are you? Why are you? Who are you? And finally, why now? Spend time working out what your story is, where the tension and drama exist and why you have the right to tell it. Your story is not a white paper, a novel or a manifesto. If you can’t communicate it in 5 sentences or less, try again. Journalists have to parse a lot of information incredibly quickly. They receive 100s of pitch or introduction emails a day. If you’re reaching out to media direct you must be able to grab attention in the first line, or they'll be headed for the delete button. Save your ‘hope you’re well’ and go straight to what the story is and why it’s new and interesting. If your audience is everyone, it may as well be no one. Don’t boil the ocean, work out who matters to your target audience. Working with an agency will bring you expertise on influential media and ideally a hefty black book of relationships but there’s no reason that you can’t be up to date on the space too. Research the important journalists and influencers and follow them on twitter or in your news app. Work out who influences who by asking customers, partners and mentors who they look to for news and insight. Depending on different stages of your growth you’ll likely need to approach slightly different audiences to meet your goals. Your audience might be investors, customers, potential partners and each will require a slightly different approach. As you grow take the time to maintain personal relationships with media you encounter. In the long term, they turn out to be valuable friends. The question most journalists will have when reviewing a half decent pitch is 'why should I write about this now'. The news agenda follows what's current and topical – whether that’s issues around data privacy, diversity, the impact of Brexit, plastic in our oceans or the rise of the alt-right think about where your business fits into culture and what current debates it makes sense for you to be part of. A debate often makes for a far more interesting story, but opinions must be authentic and fit with your founding story and purpose. Merely co-opting a cultural movement or jumping on a bandwagon will be seen through immediately. Sometimes being a fringe voice is an opportunity – don’t shy away from strong opinions or calling out the incumbents. Be timely, be on trend and above all, move on the debate don't just be part of the chorus. If you’re working with media, you need to play the game. Some of the basic ‘contracts’ of day to day media relations might not be familiar to you, but common sense and decency will. Employ both liberally. An exclusive story is an exclusive story. Don't offer the same deal to someone else or play journalists off against each other. Don't pitch the same thing to multiple targets at the same publication. Journalists have to bring story ideas to their editors, if two bring the same one it’s professionally awkward. Even if they don’t decide to run with it, it will look like you haven’t done your research on the best person to contact. Don't bait and switch (offer them one thing and give them another once they've agreed). Don’t ask to review copy before publishing. You wouldn’t let them tell you how to do your job. If you need to get them to correct a fact (not an opinion – those don’t change if you complain…), contact them quickly, linking to the story with clear information on why its factually inaccurate. Remember no one owes you coverage. Often you’ll share information or do interviews and have nothing come of it. Stay patient and professional, be a helpful contact and it will come good in the future. As I say, If communications can do one thing, and do it well, it’s to force you to get to grips with your story. This isn’t just helpful for working with media, it translates into how you sell yourself, how you talk to investors, and how you attract talent and customers. Learning how to tell a story teaches you how to bring people into your vision, persuade them that the moment is now, and the person that can deliver it is you. Stories are a communications agency’s bread and butter, but they can’t conjure a story out of nothing. Remember, you can’t tell your story until you know it. By Rebecca Ball, Associate Director, Edelman - Edelman is a leading global PR agency.